Heads up Taco Bell fans! Mark your calendars for the “Steal a Game, Steal a Taco” promotion! 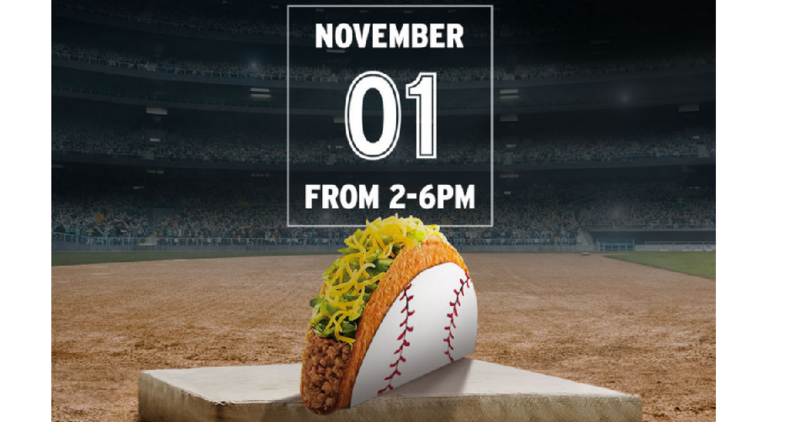 If a base is stolen by any player from either team during the World Series, you can win a Free Doritos Locos Tacos on 11/1 between 2-6PM. Be sure to watch the MLB World Series coming up!